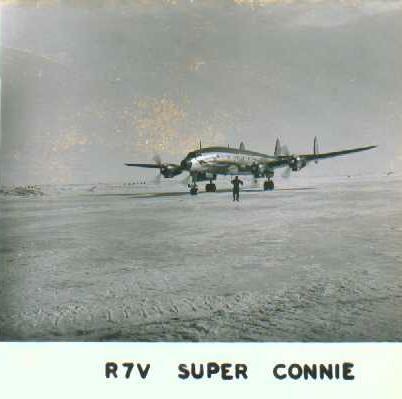 R7V-1 / R7V-1P / C-121J "Constellation" "Connie"
Delivered to the US Navy as an R7V-1, BUNO 131624 on 8 May1953. 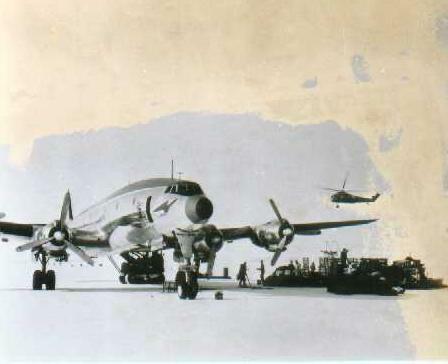 Assigned to Fleet Transport Squadron Seven or Eight (VR-7 or VR-8) at Hickam AFB, and then to same squadron at NAS Moffett, California in 1957. 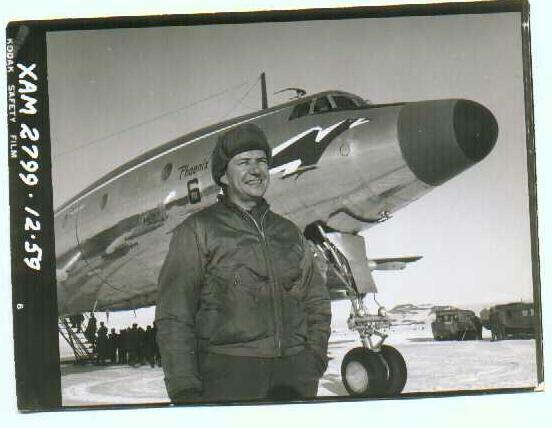 Transferred to Commander, Naval Air Force, Atlantic Fleet (COMAIRLANT) at NAS Norfolk, VA in 1958 and then to VX-6 at NAS Quonset Point in Sep 1958, coded "JD" and named "Phoenix." Used on "Operation Deep Freeze" annually, and stationed at RNZAF Base Wigram, New Zealand each summer from approximately September to March. First visit to New Zealand was 20 Sep 1958. 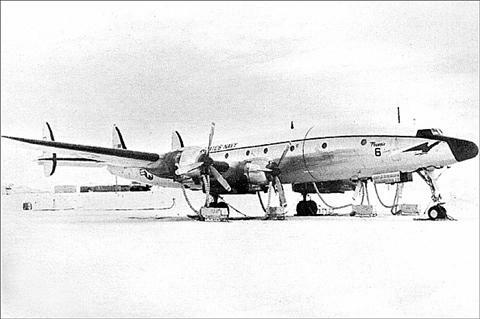 Used on Wigram/Christchurch - McMurdo Sound, Antarctica flights. 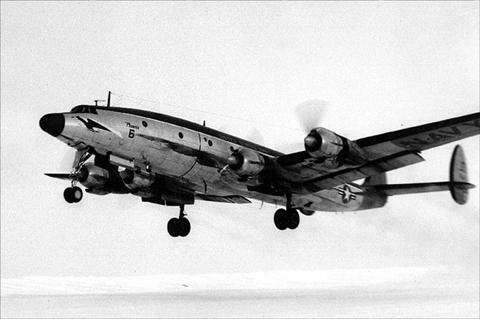 Modified by Nov 1960 with a trap on the starboard side of nose to catch airborne plankton. Coded JD-6 from approximately Aug 1962. 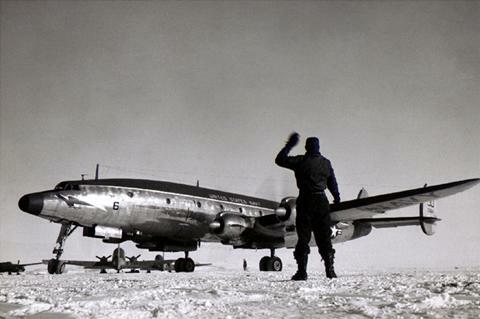 One penguin painted on side nosewheel door for each completed Deep Freeze mission. 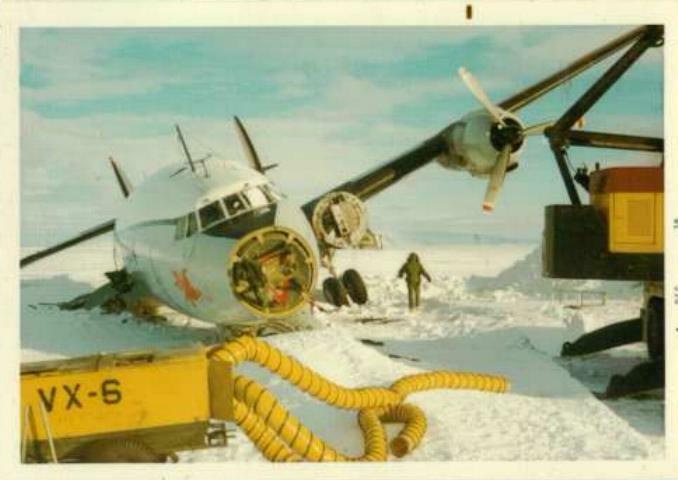 Modified to R7V-1P for 1961-62 "Operation Deep Freeze." 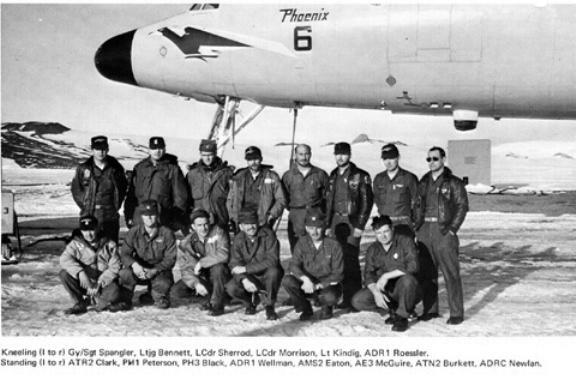 Left Christchurch, New Zealand 16 Mar 71 after final season of Antarctic operations and ferried via NAS Quonset Point to Davis-Monthan AFB for storage in Mar 71. 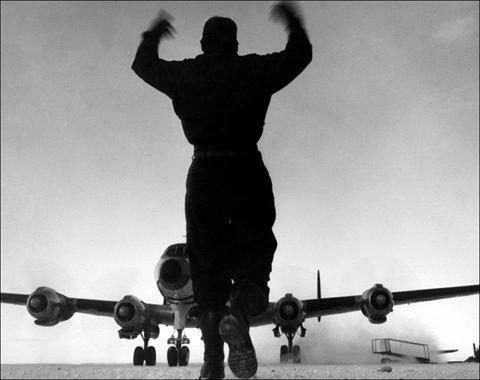 Removed from the inventory of MASDC at Davis-Monthan on 25 May 71 with 15,609 hours on the airframe. 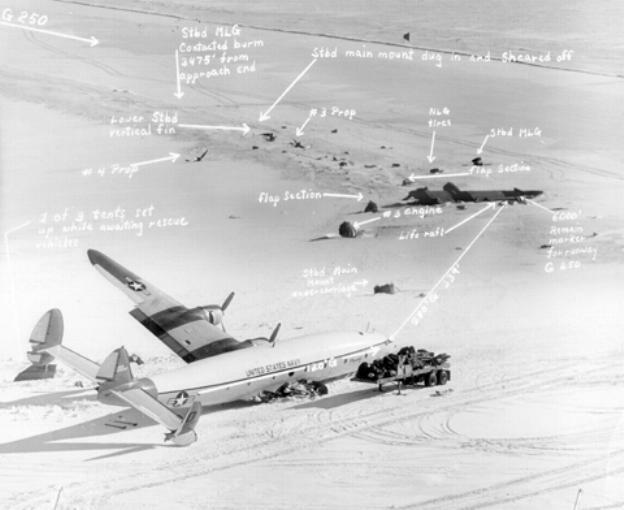 The aircraft was put up for sale by DOD on 23 Mar 77 but there were no takers and she was scrapped. 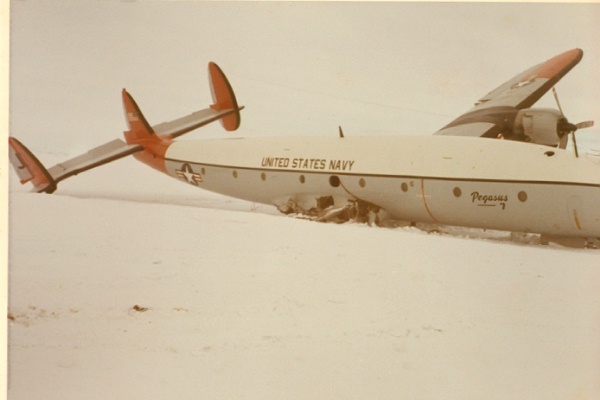 Delivered to US Navy as an R7V-1, BuNo 131644 on 19 Dec 1953. 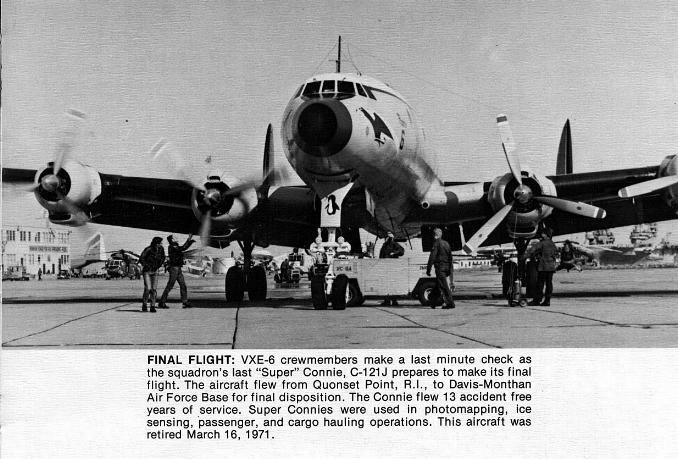 To VR-1 at NAS Patuxent, MD Dec 53, coded RP-644 and named "Taurus." 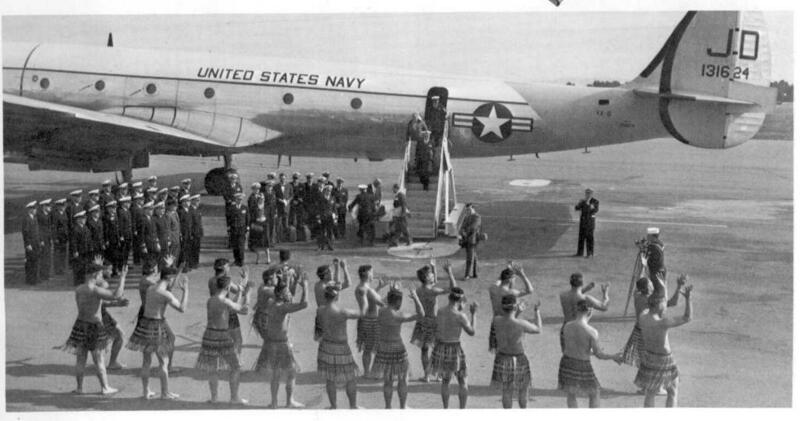 Transferred to Airborne Early Warning Squadron Fifteen (VW-15) at NAS Patuxent River, MD, in 1955. To Airborne Early Warning Maintenance Squadron Two (AEWMATRON 2) at NAS Barbers Point, TH by 1956, redesignated C-121J in 1962 and to Airborne Early Warning Barrier Squadron, Pacific (AEWBARRONPAC) at NAS Barbers Point by Dec 62. 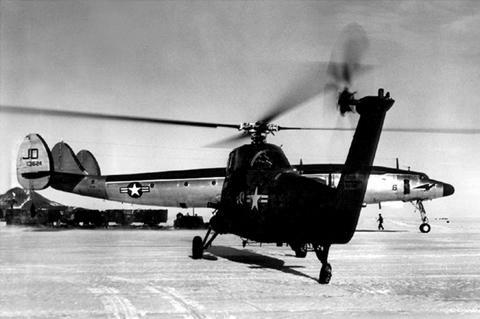 Transferred to VX-6 at NAS Quonset Point on 1 Sep 64, coded JD-5 and named "Pegasus." 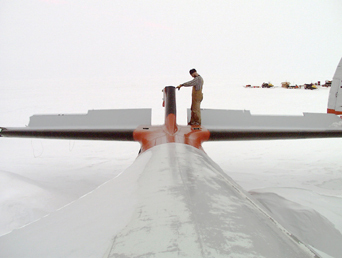 Used on "Operation Deep Freeze annually. Coded JD-7 from at least Mar 66. 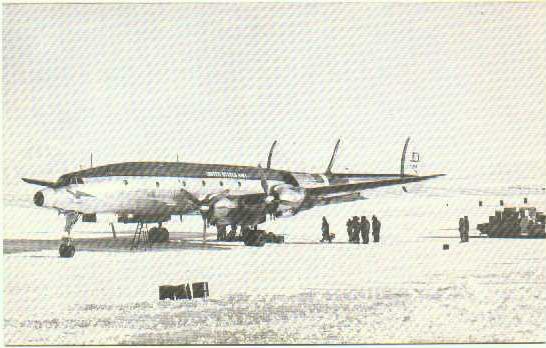 Modified with new antenna under tail unit for airborne ice-sounding in late 1967 and flight tested in Dec 1967. 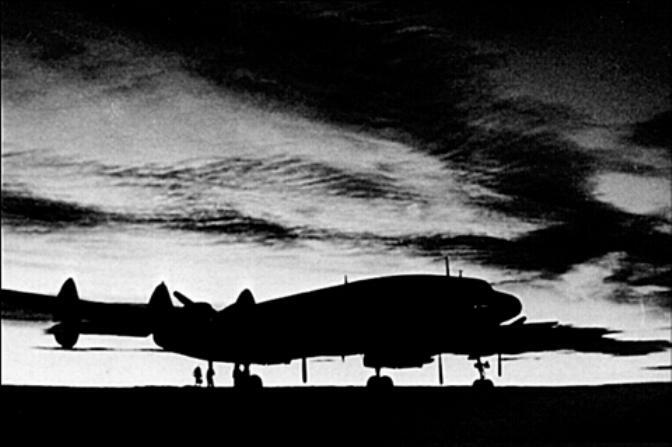 The aircraft, with 80 on board, was flying from Christchurch, New Zealand, on its first flight of the 1970-71 season. 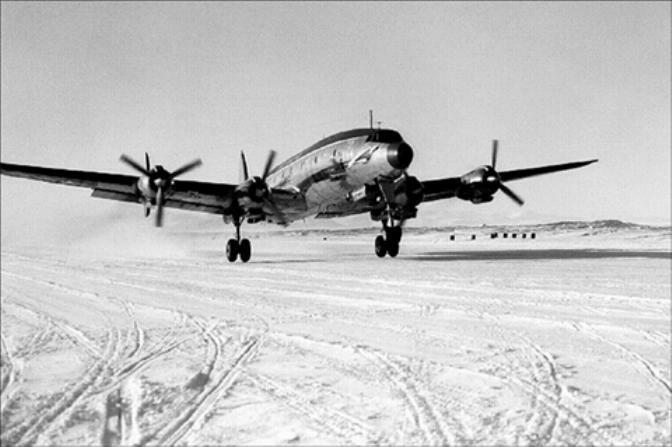 After making six low passes over the field, the C-121J attempted to land in zero visibility, winds gusting to 40 mph in a snowstorm and in 90-degree crosswinds. 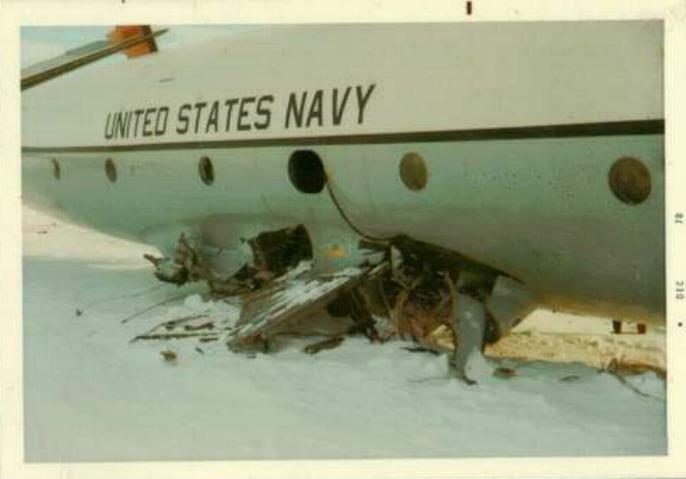 The starboard wing was torn off completely and the tail unit broken. There were only slight injuries to five on board. 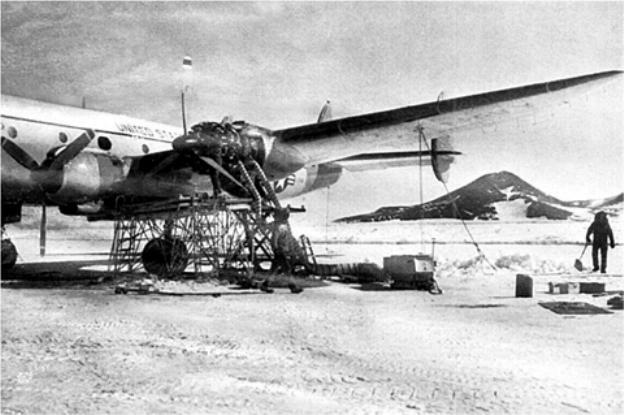 The aircraft was subsequently broken up at McMurdo. Click here to listen to an R-3350 starting up. Thanks to the Constellation Historical Society for the use of the R3350 engine wav. 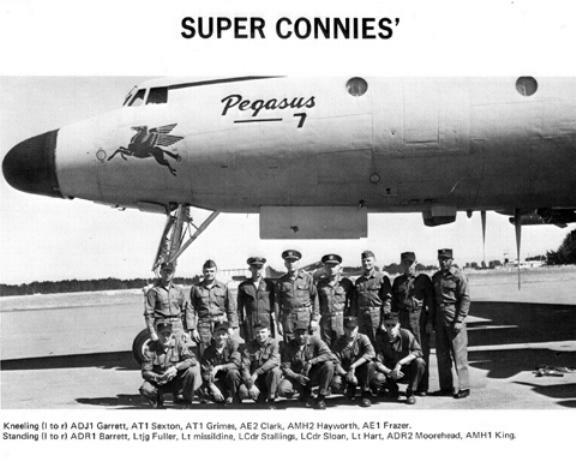 Attached are some photos from my scrap book of the connie the day after. The way I remember the story is this way. picked me and my seabag up and took me to Harewood with the rest of the brownbaggers. squadon aircraft to go in on opening day. An hour later Pegasus took off followed by the Hercs all staggered at one hour intervals. 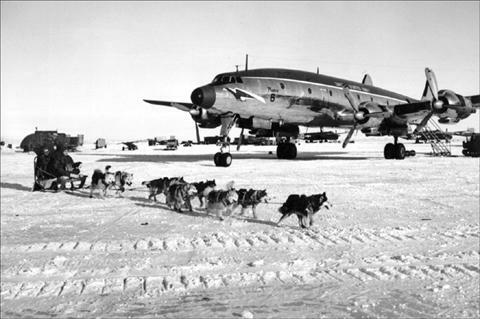 McMurdo but we landed ok, however the second Connie, the Pegasus, wasn't so lucky and ran into trouble and crashed. The next day I went out and took these pictures. 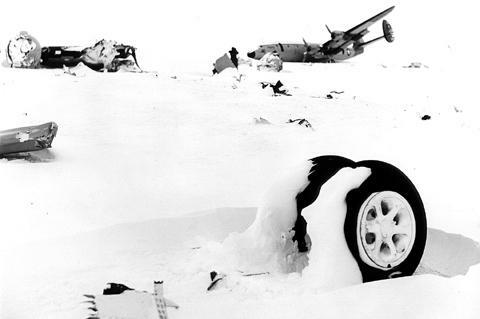 that crashed on the McMurdo Ice Shelf in 1970. All passengers and crew survived the wreck. 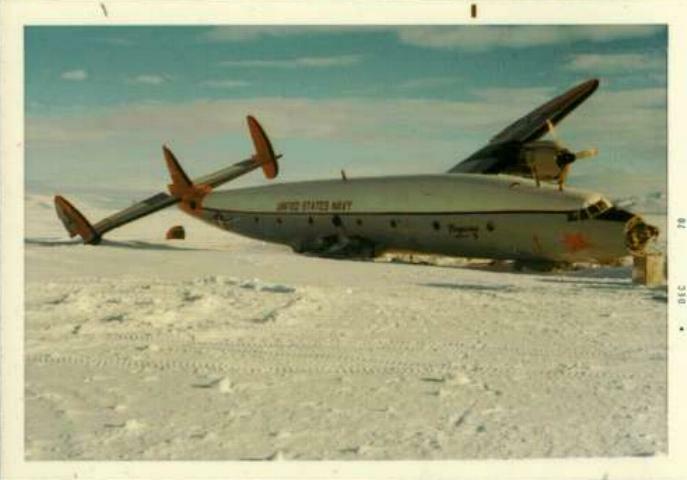 Anyone familiar with air operations at McMurdo knows of Pegasus as the downed plane that gave its name to the blue ice runway near Ross Island. 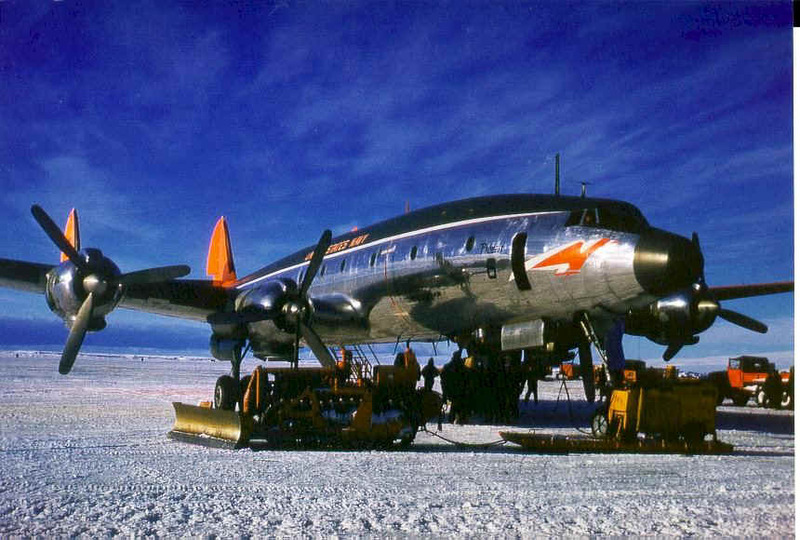 Although this wasen't a VX-6 Connie it did crash in Antarctica. 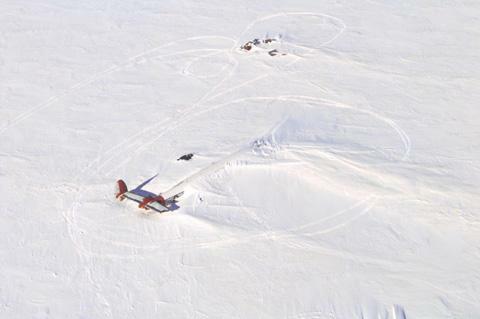 EVENT: Crashed upon landing, hit snowbank, landing gear collapsed, port wing and engine sheared off. Constellation Historical Society AKA "The Camarillo Connie"